Jim joined Baird in September 2017 from Stifel where he served as a Managing Director. Prior to Stifel, Jim held roles at Hutchinson, Shockey, Erley & Co., Raymond James and Banc of America Securities. Stewart also served as a school superintendent for 13 years with multiple Texas Independent School Districts and has extensive experience with K-12 finance, including the management of school debt and the marketing process of school bonds. He earned a bachelor’s degree from Texas State University and a master’s degree from Lamar University, and is a regular guest lecturer at regional universities. Jim is a Registered Representative with the MSRB and currently holds the following FINRA licenses: Series 6, Series 7, Series 50, 53 and Series 63. Brian has more than 15 years of experience in public finance and has worked with numerous issuers throughout Texas including cities, school districts, counties and water districts. His experience includes water/sewer revenue bonds, general obligation bonds, sales tax bonds, transportation financings, primary and secondary education, and annual appropriation credits. Brian has a bachelor of science degree in business administration from Colorado State University and holds Series 7 and Series 66 licenses. Ryan joined Baird in January 2015 from RBC Capital Markets where he worked for seven years, most recently as a public finance support banker. He has assisted in the completion of more than 350 special district transactions during his career. Ryan focuses on Texas special districts including municipal utility districts, fresh water supply districts, levee improvement districts, municipal management districts, improvement districts and water authorities. 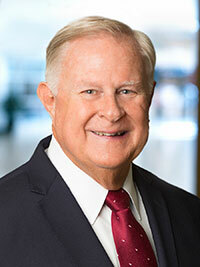 He has provided financial advisory services to several master-planned communities including Devonshire, Harvest, Heartland, Paloma Creek, Sienna Planation, Springwoods Village, Trinity Falls Union Park, Viridian, Woodcreek, and The Woodlands, along with San Jacinto River Authority and West Harris County Regional Water Authority. 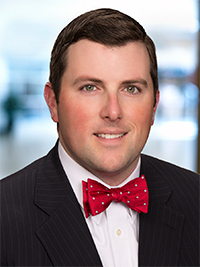 Ryan holds a bachelor of business administration degree in finance and accounting from Texas Christian University and lives in the Dallas/Fort Worth metroplex. Mr. Nesmith is licensed through the Financial Industry Regulatory Authority (FINRA) as a General Securities Representative (Series 7), Municipal Advisor Representative (Series 50) and a Uniform Securities Agent (Series 63). Jan joined Baird in December 2014 after 25 years with RBC Capital Markets where she most recently was a Managing Director. Prior to RBC, she worked at Underwood, Neuhaus & Co. Throughout her career; she has completed more than 2,000 transactions and represented over 200 special districts in the Houston, Austin, and Dallas areas. Jan specializes on Texas special districts including municipal utility districts, levee improvement districts, municipal management districts and improvement districts. She has provided financial advisory services to several master‐planned communities including, but not limited to, The Woodlands, Sienna Plantation, Clear Lake City Water Authority, Springwoods Village, Towne Lake, Pomona, Riverstone, Woodforest, Paloma Creek, Heartland and Savannah. In addition, she has worked with major water authorities tasked with providing surface water to the Houston area, such as the West Harris County Regional Water Authority and the San Jacinto River Authority. A Houston resident, Jan graduated with honors with a BBA in finance from the University of Houston. Jan has previously served on the Board of the Utility District Advisory Corporation (“UDAC”). Jan is licensed through the Financial Industry Regulatory Authority (FINRA) as a General and Municipal Securities Representative (Series 7 and Series 52), is a registered Municipal Securities Rulemaking Board Municipal Advisor (MSRB) (Series 50) and a Uniform Securities Agent (Series 63). Jan also serves on the Board of Trustees for the Municipal Advisory Council of Texas, on the board of Girls Inc., Houston Division, and on the board of Baird Ascend. Adam joined Baird in December 2014 from RBC Capital Markets where he most recently was an Associate. 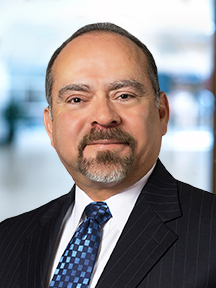 While there, he provided financial advisory and investment banking services to the firm’s clients, while playing a major role in the analytical and quantitative analyses performed for numerous municipal issuers throughout Texas. Adam’s main focus is special districts located in Texas including, but not limited to, municipal utility districts, municipal management districts, levee improvement districts, among others. Prior to working at RBC Capital Markets, Mr. Cohen worked, for almost 10 years, as a Project Manager/licensed engineer for LJA Engineering, Inc. a land development engineering firm based in Houston, Texas. While at LJA, Mr. Cohen managed engineering responsibilities and district representation associated with multiple special districts, including Sienna Plantation, a 10,000-acre master-planned community, Aliana Development, a 2,000-acre master-planned community, Skye Ranch, a 1,000-acre master-planned community as well as many others. Mr. Cohen is licensed through the Financial Industry Regulatory Authority (FINRA) as a General and Municipal Securities Representative (Series 7 and Series 52), as a Uniform Securities Agent (Series 63), is a registered Municipal Securities Rulemaking Board Municipal Advisor (MSRB) (Series 50), and a Limited Representative – Investment Banker (Series 79). Mr. Cohen is also a licensed professional engineer in the state of Texas. 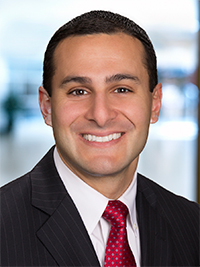 Mr. Cohen graduated with honors receiving a Master’s of Business Administration from the University of Houston (2012), and also holds a Bachelor of Science in Civil Engineering from Texas A&M University (2002). Stephen joined Baird in December 2014 from RBC Capital Markets where he most recently was a senior public finance banker. He also worked as a financial analyst and support banker. He has assisted in the completion of more than 500 special district transactions during his career. Stephen focuses on Texas special districts including municipal utility districts, levee improvement districts, municipal management districts and improvement districts. He has provided financial advisory services to several master‐planned communities including The Woodlands, Sienna Plantation, Springwoods Village and Woodforest. 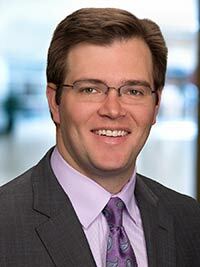 Stephen holds a bachelor of science degree in finance from Trinity University and lives in Houston. He is licensed through the Financial Industry Regulatory Authority (FINRA) as a General Securities Representative (Series 7) and a Uniform Securities Agent (Series 63), Municipal Securities Principal (Series 53), and is a registered Municipal Securities Rulemaking Board Municipal Advisor (MSRB) (Series 50). David joined Baird in January 2015. Prior to joining Baird, he has previously worked as a support banker for RBC Capital Markets, a consultant for Public Financial Management and an analyst for the Municipal Advisory Council of Texas. He has assisted in the financings for several types of issuers, including special districts, school districts, authorities, cities and counties during his career. David focuses on Texas special districts including municipal utility districts, levee improvement districts, municipal management districts and improvement districts. He has provided financial advisory services to several master-planned communities including Generation Park and Harvest Green. David holds a bachelor of business administration degree in finance from the University of Texas at Austin and lives in Houston. Mr. Smalling is licensed through the Financial Industry Regulatory Authority (FINRA) as a General Securities Representative (Series 7), a Uniform Securities Agent (Series 63) and Registered Municipal Advisor (Series 50). Oscar is a Certified Public Accountant and joined Baird in December 2017 from Stifel, where he served as a Managing Director and worked with many large Independent School Districts (ISD). Earlier in his career, Oscar served as the Deputy Superintendent for Business and Chief Financial Officer at Northside ISD, the 4th largest school district in Texas. In this role, he developed a comprehensive debt management plan including variable rate demand obligations (VRDO), was involved in seven successful bond elections totaling over $3.1 billion and negotiated the issuance of over $4 billion in bonds, including $2 billion in VRDO transactions. Oscar earned a bachelor’s degree in Accounting from the University of Texas at Austin. He is registered with FINRA and holds Series 50, Series 52, Series 53 and Series 63 licenses.